Someone want to explain this one? How exactly is something a "Factory 180 Turbo," when the car is clearly a Monza? Or is it? Because that is a Corsa dash. I mean, he's not offering an engine in this deal (without it, the car is overpriced IMO) but I'd have to ask--If the car is this frankenstein what else is wrong? Or was this combination ever an option? Re: Someone want to explain this one? That car as you say does appear to be a Monza but someone stuck in a Corsa Dash. Either that or they removed the Corsa emblems and replaced them with Monza emblems. The rear body panel under the bumper is not cut out for the single exhaust pipe so at best, the car could possibly have been assembled with a 140. 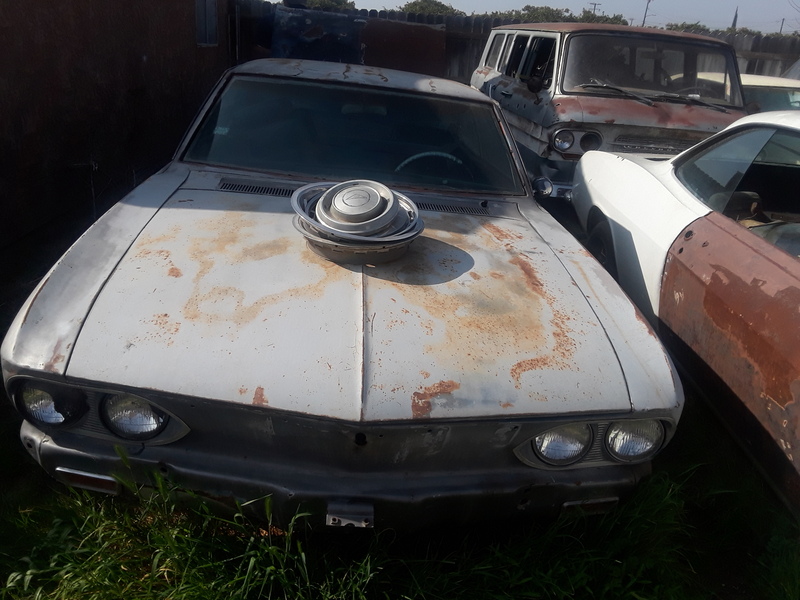 IF the body is truly free from rust and is as solid as one could hope for, then in my opinion it would be worth the asking price if there is a clean title to go with it. 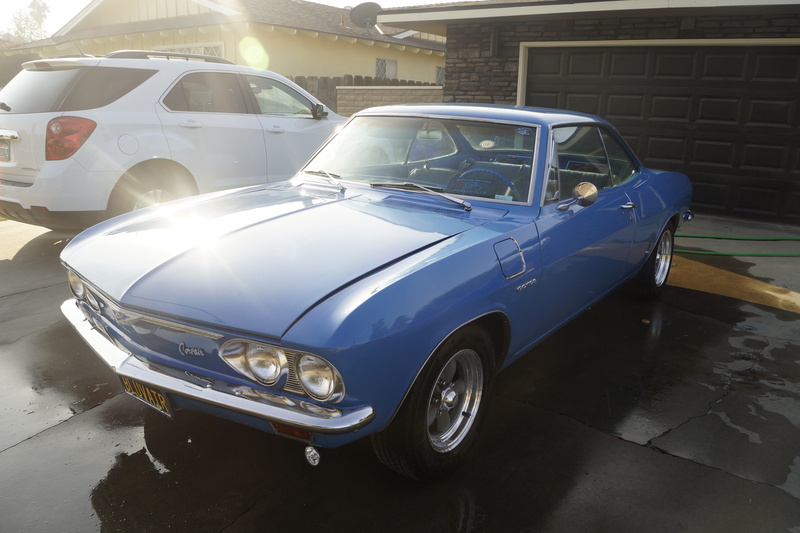 Just not well informed in the ways of the Corvair is all. That info about East Coast vs. West Coast pricing is intriguing. Thanks! He is a gambler. Betting no one will catch his bluff. Need to check that it is not a front or rear clip welded in to make a "complete" car - result of bad front or rear accident. Only 66 pieces that I see are Monza emblem on sides; horn button and Corvair script on front of trunk. The rear clip is definitely not a turbo. The dash is also 1965 and the glove box surround. > Are those BMW wheels? I think they are aftermarket wheels of the BMW style. You used to be able to buy them with raw centers, Silver centers, and even gold painted centers.